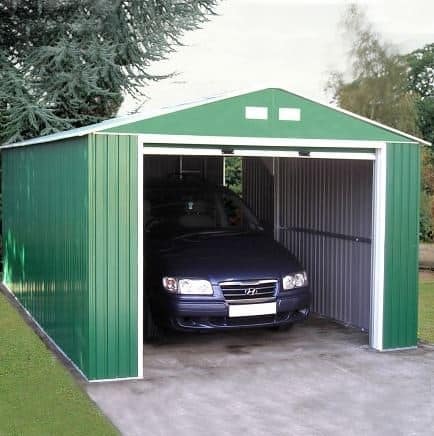 The two key features of this garage are the roll-up door function and the side door, both of which make access easy and convenient. 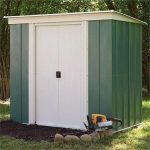 Other features combine to make a structure that is guaranteed to last a long time, and give you years of high quality storage. 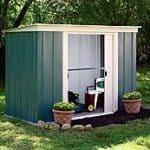 The building comes with a 15-year anti rust perforation guarantee, for example, which means you get added peace of mind. 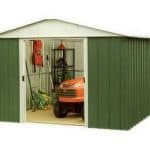 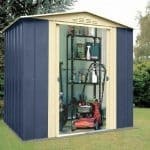 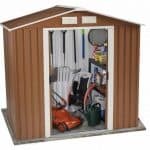 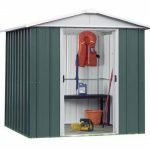 The building also benefits from ventilated gabling, which allows for an appropriate amount of air to enter the shed, and keep the contents clean and dry.